Home / Why Choose Synxsole Orthotics? 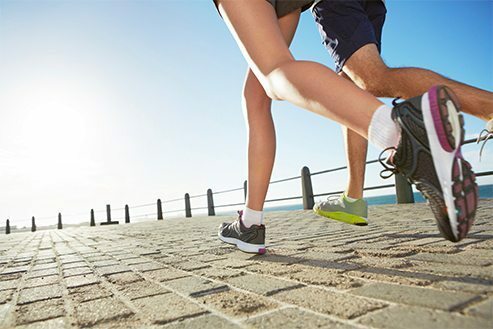 Synxsole orthotics have been designed and developed by two Australian podiatrists who have over 22 years of combined experience in orthotics and human biomechanics. The Synxsole creators are passionate about delivering a new level of comfort for people on the move. 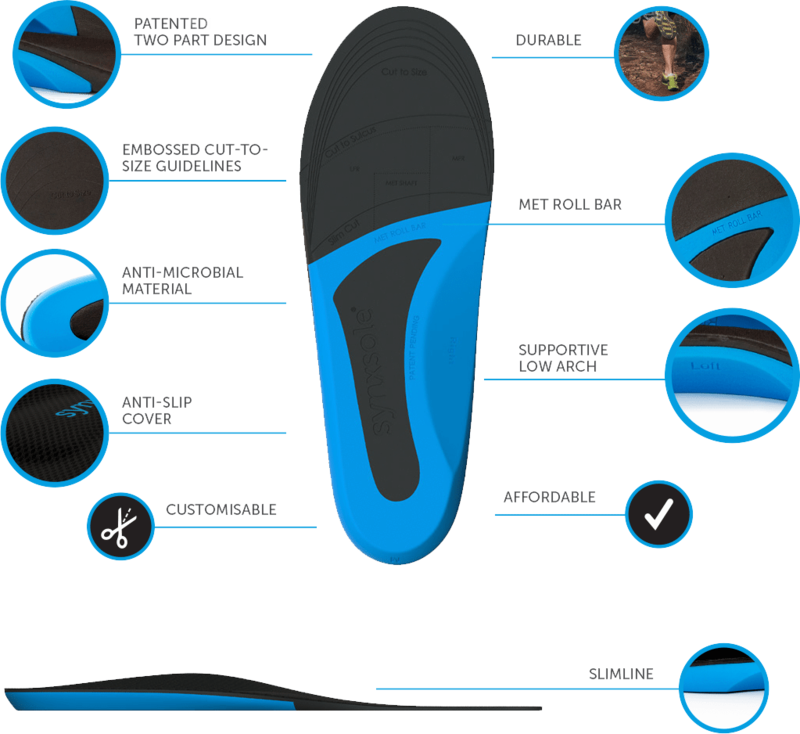 The innovative and revolutionary Synxsole design allows these orthotics to be amongst the slimmest, most supportive range of devices available. Synxsole orthotics are incredibly lightweight, yet are by far one of the most durable temporary orthotics in the retail market. Featuring the Met Roll Bar allows Synxsole orthotics to be supportive, lightweight and slim. Provides extra stability in the device so that it lasts longer. Slim and supportive, the Synxsole orthotic can fit into a full range of footwear, from industry-compliant footwear and women’s fashion shoes to trendy sporting shoes and boots. Allows your foot’s arch to pass through its normal range of motion and provides control without excessive bulk. Our innovative design reduces the bulk usually associated with orthotics. Embossed markings make it easy to trim your orthotic for an accurate and perfect fit. Find easy cut-to-size instructions here. We have selected a cover material that reduces foot slippage within the shoe and maximises comfort. The anti-microbial properties of the cover material provide increased hygiene. Synxsole orthotics are constructed from premium materials for an optimum lifespan. Synxsole orthotics provide a high-quality, affordable solution. Synxsole Kids and Synxsole Everyday consumer orthotics have been designed for maximum effectiveness directly out of the box. However, if required, our design has the added benefit of providing customers the option of taking their Synxsole orthotic to a registered healthcare practitioner and have it easily customised according to their specific, personal needs. Find a Synxsole registered practitioner here. If you choose to have your Synxsole orthotic customised by a healthcare practitioner, you may be eligible for a rebate through your private health insurance company. Please check with your provider before purchasing. As a company, we believe in giving back to the community. Word is spreading about the unique, quality solution Synxsole orthotics are providing for children and adults in their everyday work and sporting activities, as well as for healthcare practitioners in treating their patients’ movement issues. Read some of the testimonials we have already received. Because ultimately, your feet and your body will thank you!